Simply taking a taxi is the best option! Public Transportation is not available! None of the options are what you would call cheap. Groups of 4 get the best rates! If you have some time on your hands and not to many suitcases. Public transportation is very cheap! 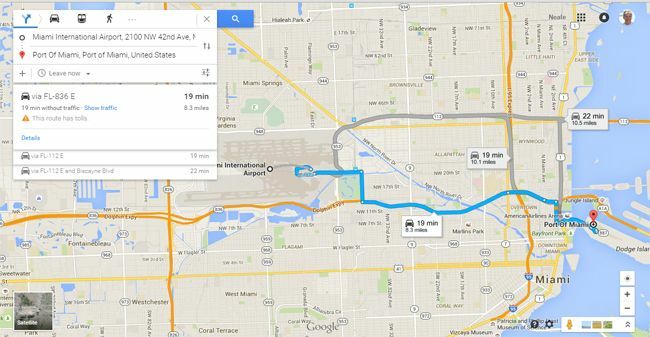 Public transportation can work for this shortish route. Larger groups could take a taxi for about the same price! Transferring from either of South Florida's Airports, FLL or MIA to one of the two main Cruise Ports, Port Everglades or The Port of Miami. Is not just a simple matter of jumping on a bus and paying a few bucks. All four connections has their own characteristics, along with different limitations, providers and prices depending on the size of your group. Quickly compare all the different choices side by side. 1: Start by choosing one of the Air & Sea Port combinations below. 2: Now select the number of people traveling in your group. FLL is the preferred airport for most people departing on a cruise out of Port Everglades, due to the fact it is situated just 5 miles from the cruise ship terminal. 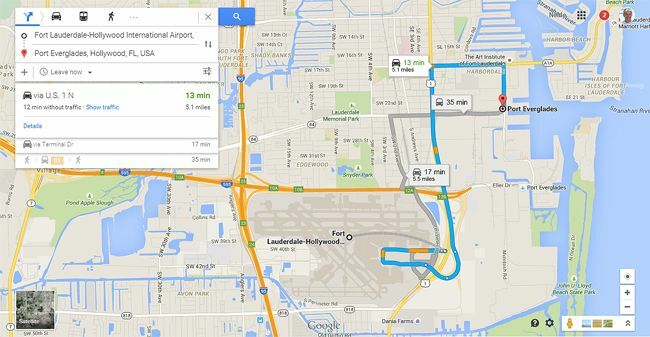 Another reason people often choose it over MIA is it can be quite bit cheaper, if your flying from within the USA. All in all it is a considered to be a modern major hub by the US Federal Aviation Administration, that is easier to navigate than its counterpart further south. Reviews are mixed. On the plus side, customers love the free WIFI and how easy it is to rent a car here. Negative reviews mainly focus on the fact that the airport is slow to process international visitors through immigration. Plan on at least a couple of hours to clear immigration. More if you want to eradicate any possibility of missing your cruise connection. 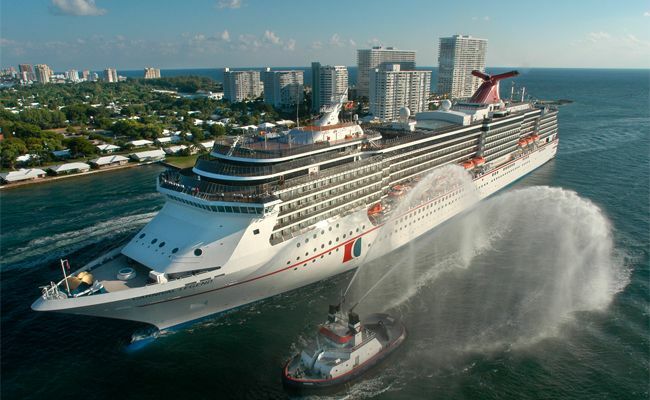 Port Everglades is home to some of the most modern cruise ships in the world. Royal Caribbean's MS Allure of the Seas is currently the worlds largest and her home port is Port Everglades. This mega cruise port also holds plenty of other records, including processing the most passengers in a single day. Along with, having the most cruise ships in port at the same time. 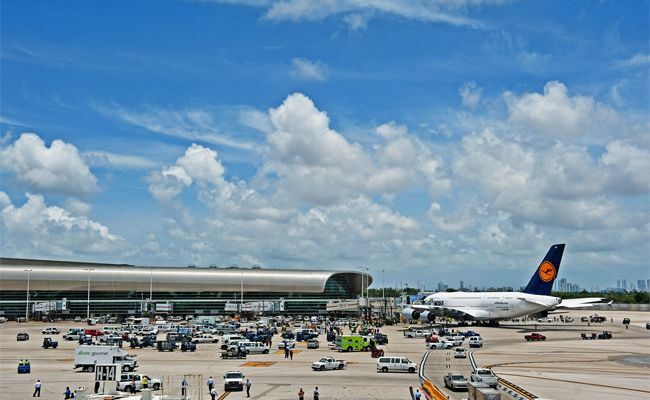 The expansion that has taken place at this seaport since its creation in 1930 has been matched by Florida's second airport FLL located just 5 miles away. The Phenomenal growth that both have experienced is largely due to their close proximity and the ability of both to be able to grow at the same speed as each other. 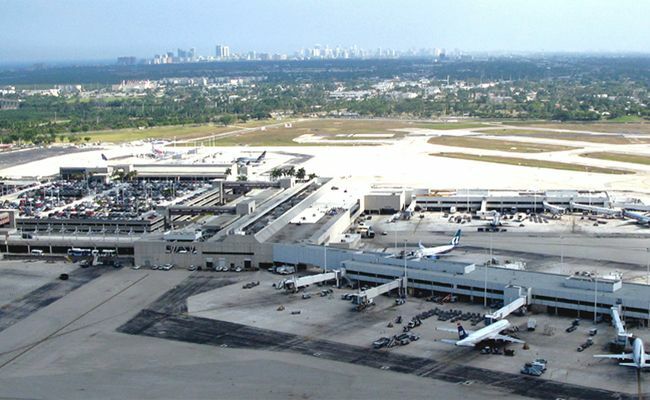 MIA is the 12th largest airport in America. With a recent revamp and modernization it can now be considered modern. Unlike its neighbor further north, this airport is a true international hub, with a primary focus on South Central America and the Caribbean. 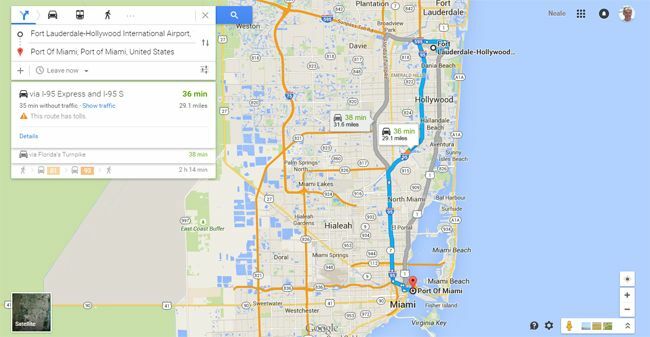 For those people traveling into south Florida from abroad to take a cruise MIA makes a better choice than FLL. Getting through immigration is a lot easier and the price of tickets for international visitors is generally cheaper. The feel of the airport is quite different to others in the states, one could be forgiven for thinking one had arrived a lot further south. Reviews for the most part are not great! A couple of things jump out, no free WIFI. If you are a US Citizen things seem to go smother than if your not. On a personal level I have flown in to and out of this Airport a few times and it ranks no better or worse than most others I have used. A big plus is the ease of access to cheap public transportation and the facilities inside the terminals if you have a longish wait for your flight. 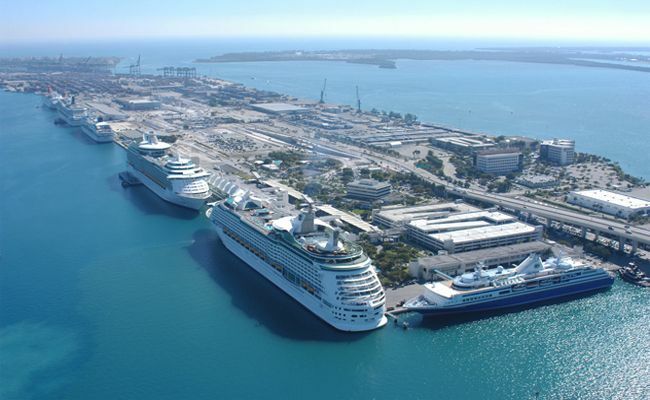 Recently rebranded to PortMiami the better known Port of Miami was for the longest time considered to be the leading cruise port in the world. Depending on the type of stats you look at, it still is, or it is no more. Either way it is significant seaport and home to all the worlds most popular cruise lines and some of their most coveted ships. In October 2015 one of the newest "The Norwegian Escape" is due to enter service and will be using PortMiami as her home port, offering 7 day cruises around the Eastern Caribbean. 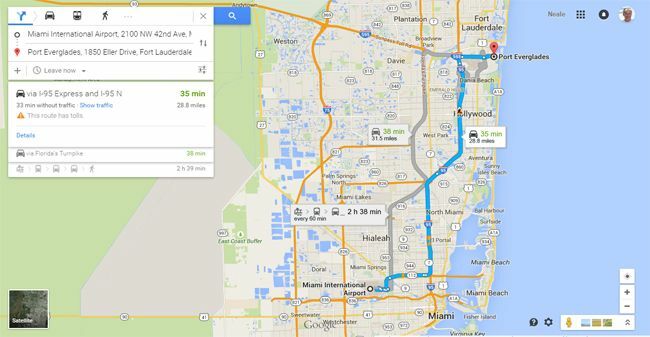 PortMiami is convinently located between Downtown Miami and South Beach. Easily accesible from both locations, makes it a great choice for those people wishing to extend their cruise a few nights. So allowing them to experience this amazingly unique and historic city and all it has to offer. Recently mordernized along with big plans for the future, this cruise port is just going to keep getting better. I was based here many years ago, even then the port was way ahead of all the others I visited, in terms of accessability.